These are the instruments through which foreign exchange transactions take place. The most common instruments through which foreign exchange transactions take place are Telegraphic Transfer, Mail Transfer, Bank Draft and Cheques, Bill of Exchange and Letter of Credit. Foreign exchange dealings are riskier for bank, compared to domestic transactions, The following are the methods of transferring money from one country to another. 1. Telegraphic Transfer (TT) This is a method or remitting foreign payments through telegraphic transfer of funds to persons in foreign countries. The money is deposited with the banks in India and the Indian banker sends a cable, telegram or fax to the foreign branch/correspondent to make certain payments to the specific party, on that very date. Then, the foreign branch/ correspondent makes necessary payments in foreign exchange to the specific party. In export-import trade, this practice is commonly adopted where realizations are received through bank, when documents are sent for collection. Fax are now being used widely for transmitting money between countries. Telegraphic transfer is the quicker method of transmitting funds, involving no risk. As it involves payment of funds in the foreign centres on the same day as the receipt of domestic currency in local centre, no interest or capital risks are involved. Best exchange rate is provided at the time of remittance as payment is made for money received. 2. Mail Transfer (MT) In this method of remittance, an order to pay cash to a third party or credit to account of a person who has account with bank is made, in writing, which is sent by mail. This is similar to a telegraphic transfer with the difference that instead of the order being sent by cable/fax, it is sent through post. Issuing bank issues Mail transfer and is dispatched on the same day of receipt of payment in domestic currency, at the local centre. On receipt of the mail transfer order, the receiving branch issues to the beneficiary its own pay order in case account is not maintained or made payment to the beneficiary by crediting the concerned account. 3. Bank Drafts and Cheques A bank draft is a pay order issued by a bank on its own branch or correspondent bank abroad. The bank draft or demand draft is handed over to the buyer who sends it to the beneficiary. The beneficiary obtains payment on presentation to the bank on which the draft is drawn. The beneficiary is indicated in the draft. Banks charge commission for issuing bank draft and directs the Branch Manager of that country to make payment of specified amount in foreign exchange to the particular party (beneficiary). Bank drafts are by far the most popular methods of remittances. The only drawback of remittance by draft is the risk of loss of the draft in transit and the transit delay in effecting payment to the beneficiary. In case of cheque, there is no guarantee of receipt of amount if the cheque is from a party whose credit worthiness is not known. (a) Documents Against Payment : In this case, the documents are delivered to the importer provided he makes the full payment. 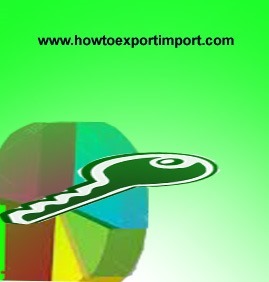 The exporter gives clear instruction to the bank that the documents should only be given provided the importer makes the full payment. (b) Documents Against Acceptance The exporter instructs the bank to deliver the documents to the importer provided the importer accepts the enclosed bill of exchange. Foreign Bill of Exchange bear the stamps of both the countries. The exporter should affix sufficient stamps while sending the bill and the acceptor of the bill also should affix the stamps according to the rules his country. What are the measuring rods included in Transaction value of imported goods? Documents for exports . 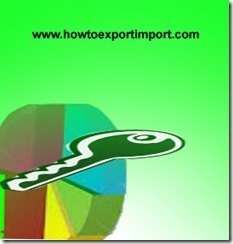 Why does documentation require in Exports and Imports?